Nerve cells connect to one another at synapses. 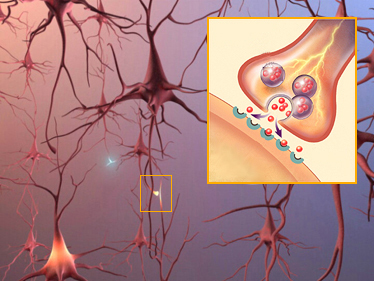 When a charge reaches a synapse, it may trigger release of tiny bursts of chemicals called neurotransmitters. The neurotransmitters travel across the synapse, carrying signals to other cells. Scientists have identified dozens of neurotransmitters. Alzheimer's disease disrupts both the way electrical charges travel within cells and the activity of neurotransmitters. Whenever if we think to solve any problem within fraction of time you will get an idea how to solve it.. Whenever we recollect our previous experiences within fraction of time we can recollect. Our brain is the most powerful organ when all electrical charge to send signals. 1...Your child should have sufficient water in his brain before birth to develop cell signaling. All of U know water is a good conductor of Electricity.